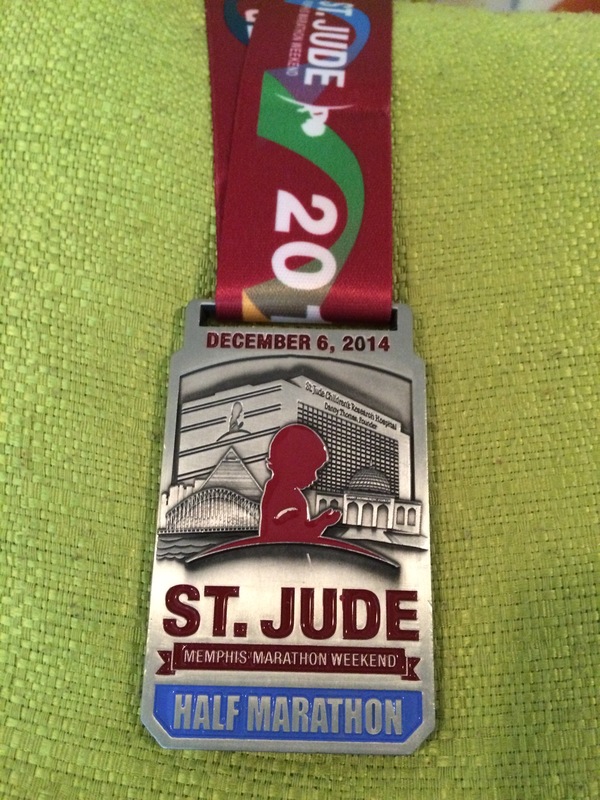 As I wrote the other day, the St. Jude Memphis Marathon weekend is great. It raises money for an extraordinarily awesome cause, and it’s right in my backyard. Seriously, the start and finish are two blocks from my apartment. Compared to the logistical nightmare that was NYC, this was a cakewalk. However, I hadn’t trained for this. I ran only a few times, for limited mileage, since I got back from NYC. My mind wasn’t ready to run again, and I’m not sure my body recovered. But I signed up for it and didn’t want to punk out. I adjusted my expectations and made it my goal just to finish. I picked up my packet on Thursday after work. The convention center is right down the street, so it was a short walk. There was no security line wrapping around the block, no massive crowds of people to fight through, no annoyances. Easy peasy, in and out in five minutes. Saturday morning I woke up and had my typical oatmeal and Gatorade. I was still feeling a bit sick from dinner Thursday night. Instead of carb-loading, I protein-loaded at a Brazilian steakhouse for a friend’s birthday. I didn’t know meat sweats could last for two days…I was still feeling it a bit that morning. With the start right outside, I left my apartment at 7:25 for an 8AM start. It was awesome. Compare that to New York, where I left my hotel at 6:30AM for a 10:25AM start. It was a bit chilly out. I had been debating which long-sleeve shirt to wear, opting for my NYC one. That morning, however, turned out to be pretty windy, so I switched to a short-sleeve shirt with my NYC quarter-zip on top. Plus, as always, my Chicago Cubs hat. I got a bit warm, but it worked well. I placed myself in a coral with Ro and some of our friends, aiming for around 10:30-11:00 pace. The race started right on time, and we crossed the start at 8:16. Game on! The first five miles take place downtown, with mile 4 being on the campus of St. Jude itself. This is where most of the crowd support is. Bands, people cheering, it’s all pretty nice. Going through St. Jude is always emotional, as patients and their families are out cheering for you. If you look up, you can see young patients waving and cheering from their windows. It’s awesome. I kept things pretty well in check throughout this point, knowing that miles 5-12 are, shall we say, boring. When you hit mile 8, you enter Overton Park and begin the climb. The path is narrow, there is no support in the woods, and you are the furthest point from the finish. It’s a bit depressing, to be honest. You are in the park until 9.5, when you get to Poplar Ave. And then you climb some more. I don’t get when people say this is a flat race. It’s not. Sure, it’s not a high amount of gain, but you feel it. Along Poplar, this is when people start walking. I made it to mile 10.5 before I started with a walk break for about 5 minutes. 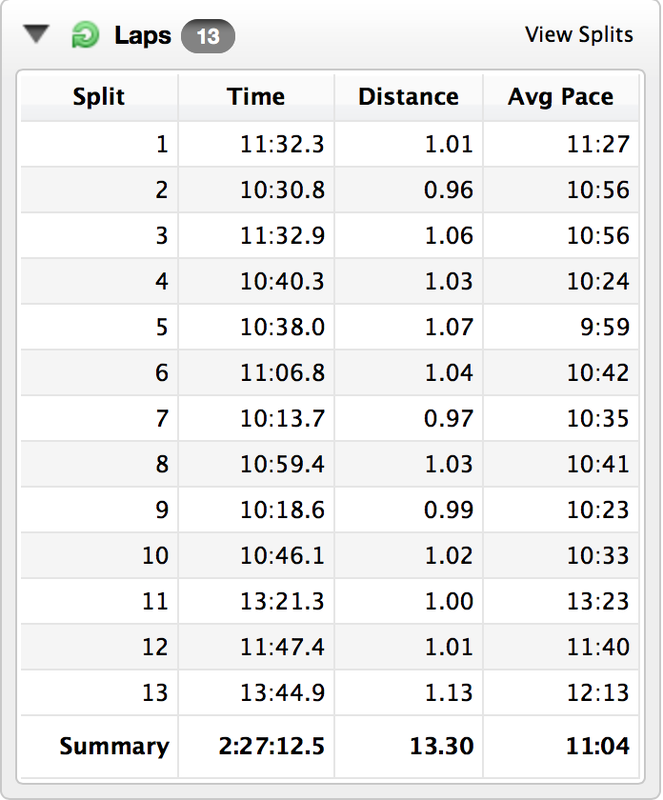 I picked it back up before taking another walk break during mile 11.5-12.5 or so. Once you go down Union Ave., the half splits from the full marathon and we head for home. The finish is at the ballpark, which is great. I smiled and raised my hands in triumph. Post race, this year there were some issues. Two years ago, I basically walked out of the park after being handed a bag of food/drinks, much like MCM and NYC did it. This year, you had to wait in a series of lines to get out. First, a clear plastic bag to hold your stuff. Then PowerAde. Then water. Then fruit cups. Then real fruit. Then cookies. Then pizza. Then Soup. Then donuts. THEN you got to fight through crowds to actually get out of the park. It took me an hour to get out, which is nuts. And there is NOTHING worse than having to stand in line when you are tired and cold. My legs were hurting bad. Anyway, I grabbed some pizza with Ro and we walked home. After some stretching and showers, we took a nap. All in all, it was a good race, just different compared to MCM and NYC. It feels tiny by comparison, and not as well supported. But I know that’s just in my head, because this city gets behind it in a big way. And with that, my 2014 season is officially done. Thanks! 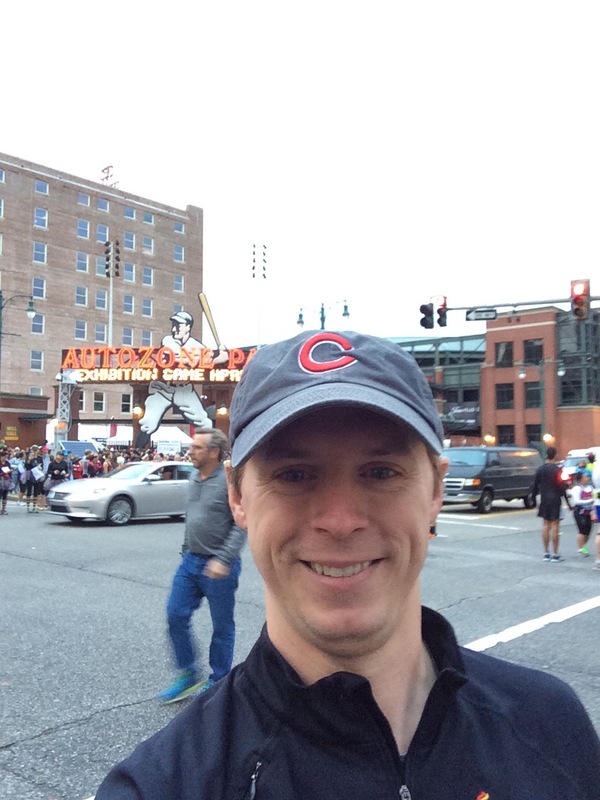 This entry was posted in Races, Running and tagged race report, Running by JB. Bookmark the permalink.